The One is here. More portable than a 10-ouncer, perfect for bartering and one of the most visually stunning pieces of silver bullion on the market today. 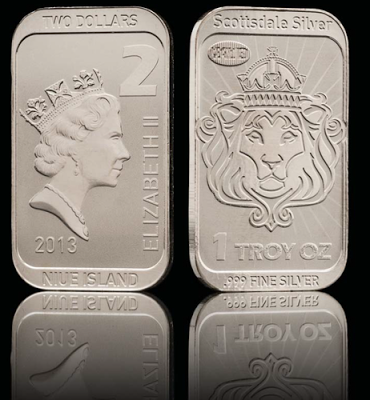 Exceptionally minted and finished, the front features the illustrious Scottsdale Lion. The level of detail in the crown alone qualifies The One as the most intricately-etched 1-ounce bar available. A repeating Double S logo on the flip side adds to the elegance. Each pack is ten troy oz.